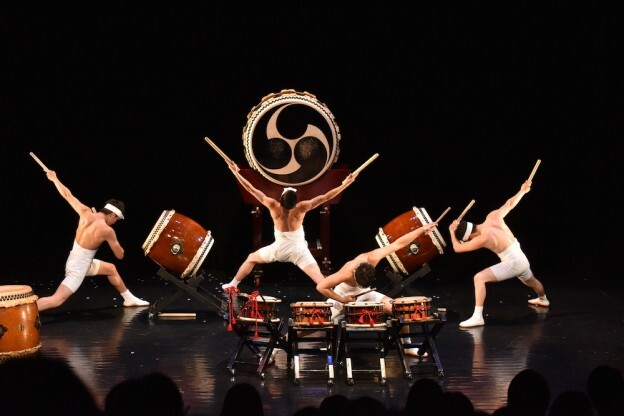 Returning for its annual performance on Monday, April 15th, the Tamagawa Taiko Drum and Dance Group enters the nineteenth year in its close relationship with the Swarthmore Music and Dance Department. Since 2000, the Tamagawa Taiko Drum and Dance Group has garnered annual attention, loyalty, and enthusiasm from Swarthmore faculty and students, as well as members of the surrounding Greater Philadelphia region, with a performance each spring in Philadelphia’s Cherry Blossom Festival. This close-knit relationship began when retired Professor Kim Arrow of the Swarthmore Dance Program met Tamagawa Taiko director, Isaburoh Hanayagi, at a Philadelphia dance festival in 1999. Since this first serendipitous meeting, Tamagawa Taiko’s presence and influence on students has grown tremendously. Professor Joseph Small, Swarthmore’s new taiko dance professor since Professor Kim Arrow’s retirement, remembers first hearing about Tamagawa University back when he was a student at Swarthmore in 2002. That spring during Tamagawa Taiko’s visit, Small and a few other taiko students learned the piece “Shin-Tamagawa Daiko,” now a mainstay of Swarthmore taiko’s repertory. “As a member from 2003-2004, along with Alex Hudson ’05, I recall both the physical intensity and vigor of playing, as well as the intricacy of choreography occurring both at the individual level and between the group – sometimes relying upon pinpoint precision, sometimes asking for personal flair and character,” says Small. It is precisely this vigor and intricacy that Tamagawa Taiko is known for. Small characterizes Tamagawa Taiko’s quintessential and unique style as bright, energetic, and heartfelt, with works consisting of both traditional folk rhythms and wholly new, contemporary choreography. This versatile repertory emerges out of the group’s diverse music and dance training at Tamagawa University. When Small did a semester abroad there, the training involved classes in Japanese folk dance, classical dance known as Nihon Buyo, and the more traditionally Western styles of ballet, contemporary, modern, jazz, tap, and hip-hop. The students at Tamagawa Taiko however, are not only involved in music and dance training, but also in the production component of their tours and performances. 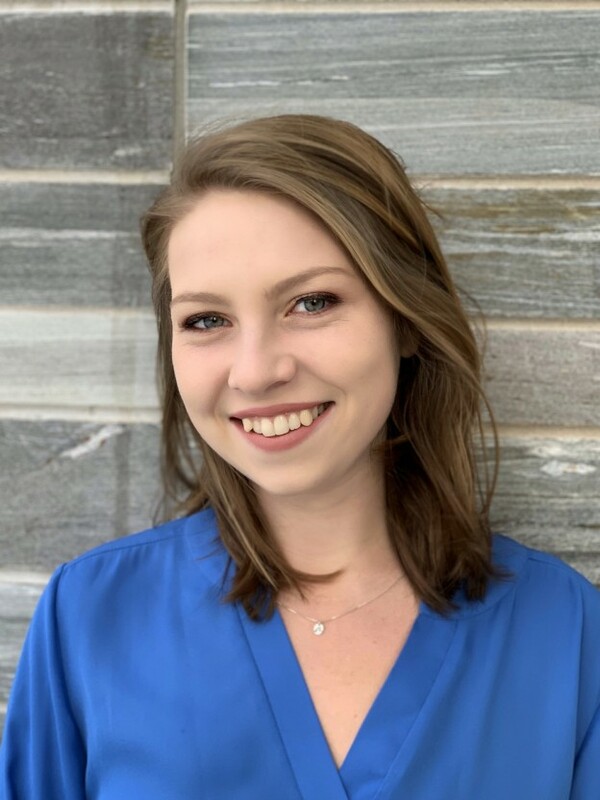 During their first year at University, they are required to work as staff in production and stagework to learn the realities of what goes into a performance. With this kind of investment in their touring, the students in the Tamagawa Taiko group care deeply about what they share with their audiences. Small hopes that both the students at Swarthmore as well as those in Tamagawa Taiko will have an opportunity to share and exchange culture and passion, taking note of the vast possibilities of taiko and its transnational dimension with Japanese cultural roots. In addition to the formal performance on April 15th in the Lang Music Concert Hall at 7:30pm, there will be a smaller public performance by Swarthmore taiko students – to “drum up interest” – at 12:30pm in front of Parrish Hall. 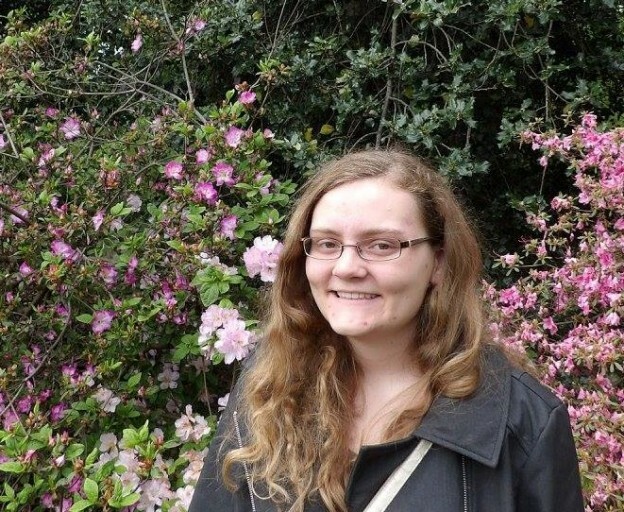 This entry was posted in Dance, Music on April 9, 2019 by dpulley1. 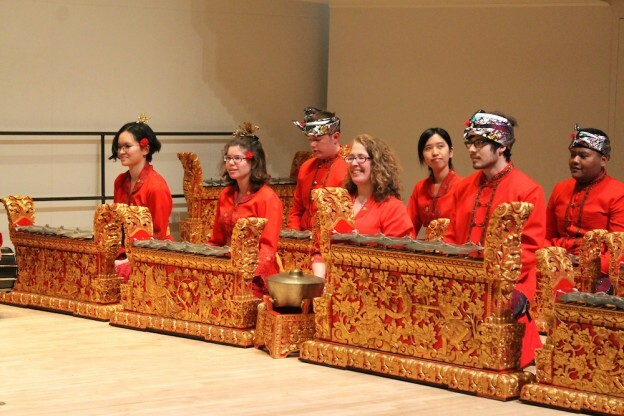 On Sunday, April 14 at 3pm, Gamelan Semara Santi will perform in Lang Concert Hall. The event is free and open to the public. Gamelan is the traditional ensemble music of Java and Bali in Indonesia, and is made up of primarily percussive instruments. Gamelan does not use notation, and is instead memorized by members of each ensemble. Written music does exist, but only serves to preserve specific pieces. The tempo is controlled by a hand-played drum called kendhang, while other musicians play a variety of traditional Indonesian xylophones, metallophones, flutes, and gongs, as well as several bowed and plucked instruments. Central to Gamelan music is the idea of collectivity and community; there are no solos, and while musicians do rehearse in individual sessions, emphasis is placed on group participation. Professor Tom Whitman, who co-directs the Gamelan Semara Santi along with I Nyoman Suadin and Ni Luh Kadek Kusuma Dewi, says that community is one of the things that makes Gamelan so special: “I think it creates a real sense of bond that most of us really treasure.” He says that he’s observed something that he, somewhat jokingly, calls “Gamelan ESP:” “If I’ve got four people, and not one of them could play through a pattern by themselves, when they sit down together, they transmit it to each other and somehow they’re able to do it.” Gamelan, he says, allows people to do things in a group that they couldn’t do as individuals. Another important aspect of Gamelan music is the dancing that goes along with it. Professor Whitman says that one of the things he likes to tell his students is that, “to do Balinese Gamelan without also doing dance is like performing Beethoven’s 9th Symphony without the chorus – you kind of miss the point.” The upcoming performance will feature both musicians and dancers, all of whom will be dressed in traditional costumes. As Swarthmore slowly crawls into springtime, bringing with it all-too-brief snatches of warmth, rain showers, and allergy attacks, dozens of students across campus are preparing for one of the most important musical events of the year: the Fetter concert series, which this spring will take place on April 12, April 28, and May 4. 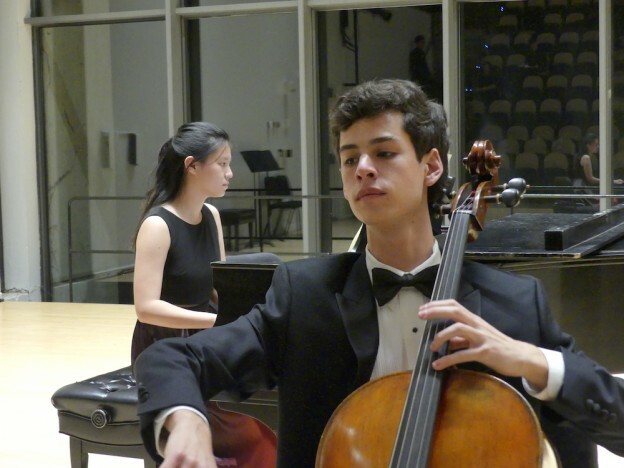 While the Fetter programs are, according to Dr. Johns, “geared toward students who have advanced beyond the beginning stages and reached a certain level of achievement,” and students are required to audition, the primary requirement is a passion for and desire to practice chamber music. Students of a variety of instruments are welcome, not limited to the Western chamber musical canon. This semester’s concerts will take place on Friday, April 12, at 8 pm; Sunday, April 28, at 3 pm; and Saturday, May 4, at 3 pm in Lang Concert Hall. This entry was posted in Music on April 9, 2019 by dpulley1. Andrew Hauze, director of the Swarthmore College Wind Ensemble, is excited for audience members to hear the ensemble’s energy and heart in their upcoming performance. 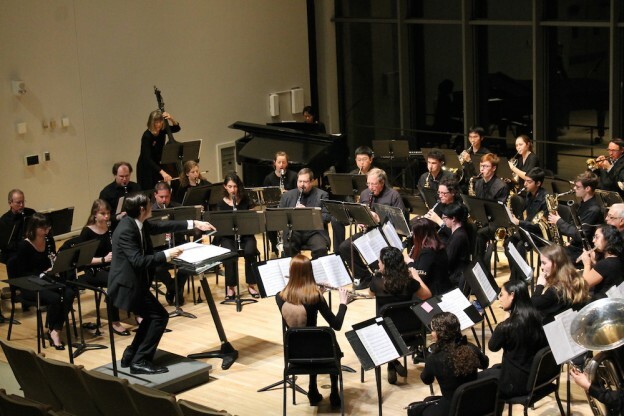 The spring semester Wind Ensemble Concert will be held on April 13th, at 8:00 PM in Lang Concert Hall. Over the course of the fifty-minute program, audience members will experience a huge range of musical styles and cultures. 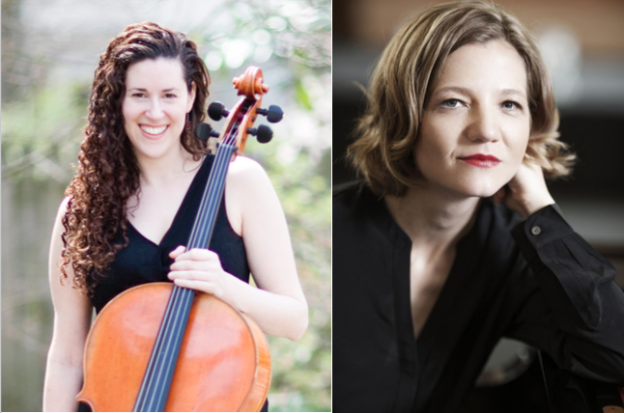 This upcoming concert will feature work from an artist that the Ensemble has not performed before: Clara Schumann’s Romanze. 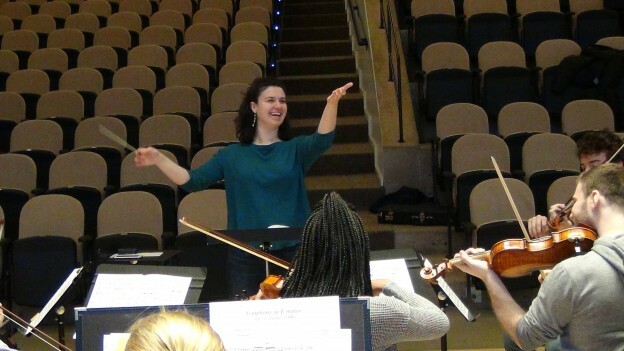 “Professor Tom Whitman was interested in arranging Clara Schumann’s Romanze for our group, which I was thrilled to have him do, and it makes a nice contrast with an otherwise quite modern program (the other works were all written in the last 50 years),” Hauze said. The Wind Ensemble has been practicing three hours each week to prepare for this upcoming concert, and they are ready showcase all of their hard work. Join them on April 13th at 8:00 PM as they take their listeners on an emotional journey through their music. Swarthmore’s campus is always bustling with students’ musical performances, from the Parrish Parlor concert series to senior recitals. This spring the Jazz Ensemble will not only be performing their usual semester concert, but will also be taking their talents to the outside world and treating the patrons of Chris’ Jazz Cafe in Philadelphia to a musical evening. 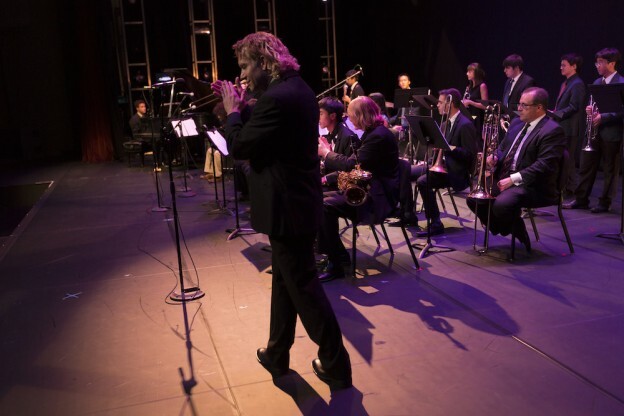 Last semester was the first time that the Jazz Ensemble Concert included student vocalists; Neu decided to expand that part of the program for the spring concert because it was a big hit with the previous audience. The performance will showcase songs from both the last and the current semesters’ repertoires, featuring music from a variety of artists – from jazz classics such as Ray Charles and Miles Davis to more contemporary music by Christina Aguilera. The show will take place at Chris’ Jazz Cafe (1421 Sansom Street, Philadelphia) on April 16, from 7:00 to 10:00 PM. Tickets can be purchased athttps://www-chrisjazzcafe-com.seatengine.com//shows/98604. To see the Jazz Ensemble at Swarthmore College, come to Lang Concert Hall on Sunday, April 7th at 7:30 PM. This entry was posted in Music on April 6, 2019 by dpulley1.